Vicky and I sell patterns and kits as well as things we have made. Both of us like to show what something made from one of our patterns looks like but there is a problem - as fast as we make them people come and buy them so here is what I have been doing this week. Yet another Persephone made using CE tested yarn stuffing etc so if people want to buy the pig rather than the kit it's ok. The kit contains enough yarn to make two pigs as well as two sets of safety eyes, the pattern and the hooks. Tail on this one is perhaps a bit long. All her feet are different colours but I think she looks as if she is having a good old roll in mud as pigs do. Then there is the kit to make mice (enough to make 5 different mice). These seem to be particularly attractive to teenage girls (the mice not the kits) - if they learned to crochet they could make their own (the girls not the mice). Still I expect we will sell more mice than kits at the next fair. We sell a kit to make a festive key ring in the form of a green wreath like the silver one shown but I am still trying to make not cute crochet so the other key ring is a gruesome eyeball. Finally I thought if we have eye -pads, eye pods ets we really should have a case for your eye phone! Back to the stock making for the next fair - who would have thought that a Christmas pudding could: cover a ferrero rocher, cover a chocolate orange, be a bauble and even a hat? 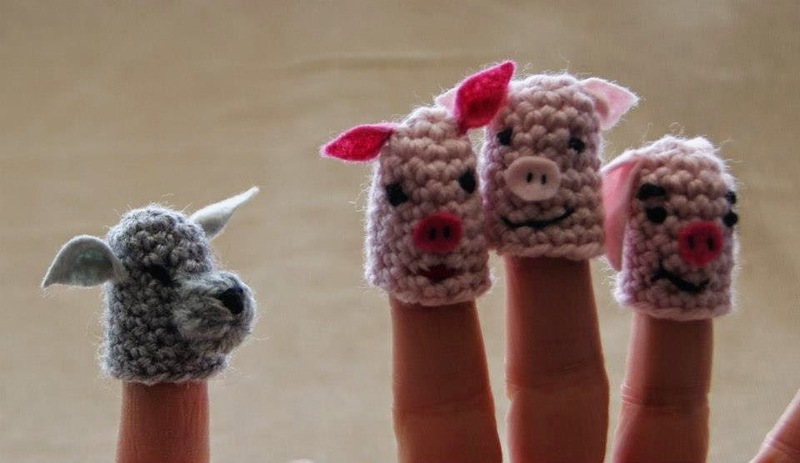 Great makes - I love the pigs.